Original Fine Art Oil painting on canvas by Contemporary Australian Artist Wayne Clements. Created using the highest quality Oil paints and canvas, this artwork would make a wonderful addition to any art collector’s portfolio or take pride of place in your home, bringing pleasure for years to come. 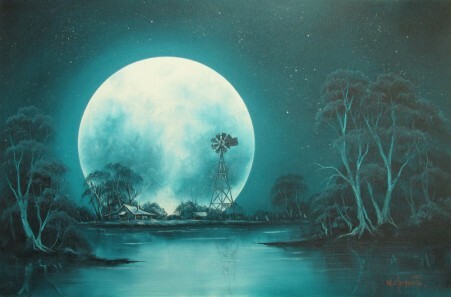 Wayne has developed his own specialized technique for creating artworks, working as a professional artist for over 30 years and is highly sought after by collectors all around Australia and internationally. Wayne resides on beautiful Tamborine Mountain and is well known, having been seen by viewers around Australia for over ten years on his TV show Art Studio. His Class Art learning to paint TV series was aired around the world in over 189 countries. This vibrant landscape painting would add life and colour to any home décor.